As truck enthusiasts, we know the importance of having the best possible tires for our vehicle. Our trucks provide us with the basic transportation that we rely on, as well as the tool we need to get work done at the job site. Whether you’re a current pickup truck owner, or on the market for a new truck, it can be overwhelming to figure out which best all season pickup tires to shop for. To help you get started, we’ve outlined the best all season pickup tire, as well as information on tire size, proper tire tread, and the tire inspection process. Tire sizes have been trending larger and larger over the past several years. They also have been trending toward lower profiles. Wheel sizes on older vehicles are typically in the range of 13 to 15 inches, whereas modern vehicles usually have wheel sizes between 16 and 18 inches or even larger. 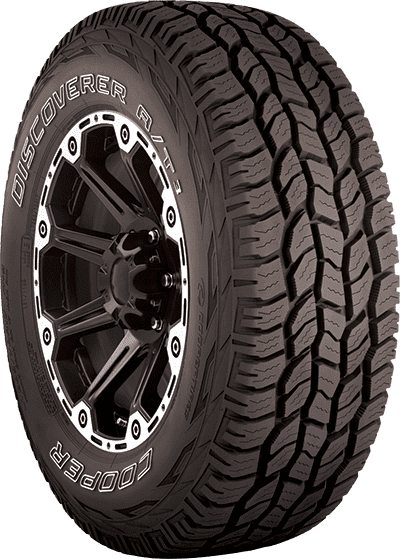 While it’s important to have the best all season pickup tires that provide traction on smooth, hard surfaces, snow tires need to be thin and narrow with a high profile. When considering snow tires, they should generally have the highest profile that will fit within the wheel well and over the brakes. These tires should also be as narrow as possible, while ensuring they still have the necessary load capacity. The ideal tire tread pattern for the best all season pickup tires provide the greatest traction possible while driving. For example, rain tires need a few wide treads to quickly divert water away from the tire. On the other hand, snow tires benefit more from many narrow treads known as sipes. Siping is the process of cutting slits across a rubber surface, typically for the purpose of improving traction. A greater number of lateral sipes generally increases traction in snow up to a point. However, they also have very poor traction on hard, wet surfaces. A tire’s tread pattern is generally composed of lugs and voids. Lugs are the portion of the tread that protrude above the tire’s surface, while the voids are the grooves in the tire that separate the lugs. Mud tires generally have larger lugs and wider, deeper voids than standard tires. This design causes mud to be channeled out of the tread when the tires spin through mud, effectively self-cleaning the tire. With a tread design that is beyond unusual in its ribbing, long tread life is guaranteed, and you are provided with handling that will assure your confidence on the road. Sized between 12 and 16.5 ml, these tires can handle a maximum load that stands at 4080 pounds, with rims measuring between 8.3 and 9.8 in width approved, with a true measurement at 9.75 inches wide. This tires, which are among the best all season pickup tires, are priced at just above $780. “As one of the world’s leading tire companies, Goodyear is also one of the largest operators of commercial truck service and tire retreading centers. In addition, it operates approximately 1,240 tire and auto service center outlets where it offers its products for retail sale and provides automotive repair and other services. Goodyear manufactures its products in 49 facilities in 22 countries.” (www.goodyear.com). Among the benefits of choosing a Goodyear tire, which are among the best all season pickup tires, are the performance handling of its tires. Also, they are also reliable in all weathers and are affordable. The Michelin LTX/M/S2 tires are able to handle all road conditions. The absolute number one benefit of having all season tires is that the driver can feel alleviated of stresses knowing that their truck will not slip and slide on the road. Several owners have come to common conclusions on deciding that Michelin certainly makes some of the best year-around tires that money can buy. 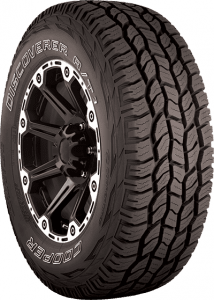 The Cooper Discoverer A/T3 are great all-terrain tires, making them the perfect choice for driving up the roads of mountains on those hiking adventures that many lovers of the outdoors enjoy partaking in. The only thing to be wary of about these tires is that they do not necessarily have a tight grip on ice as they do on snow. Therefore, the Michelin LTX/M/S2 tires certainly take the prize for the top of all season pickup tires this year. Tires shouldn’t be used under any conditions once the tread depth reaches 1/16 inch and should be replaced immediately. Most states also require tires to have a tread depth of at least 1/16 inch before they can pass inspection. 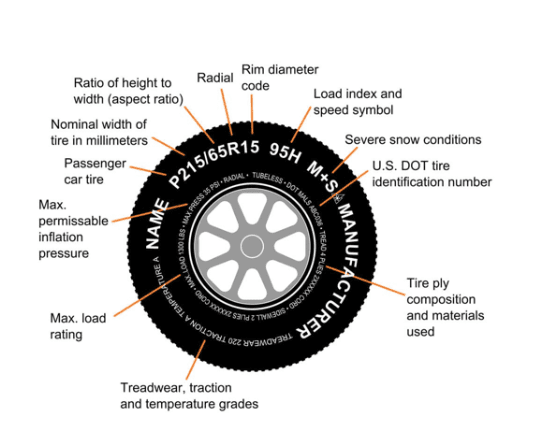 Inspectors measure the tread depth on truck tires at about 15-inch intervals and usually measure more than one tread. The tires on all vehicles generally must be inspected by the state once per year, although commercial trucks have more stringent requirements.